Before David Byrne made his recent hit-making appearance on X-Press 2’s single Lazy he was best known for wearing oversized white suits and singing paranoid lyrics about nuclear war, government conspiracies and the soul-destroying nature of modern life in general. So it’s a surprise when the first track of his former band’s debut Talking Heads 77 starts to boogie its way out of your speakers. Uh-oh Love Comes to Town’s infectious bass riff, jangling guitar and steel drums could hardly be any more different to later, better known songs like Once in a Lifetime. But the biggest surprise about this album isn’t the upbeat opener - it’s the date in the title. Though the Heads are rarely cited as an influence on any bands, it would be impossible to listen to this record without thinking of The Smiths (especially around the time they released their debut) and New Order. But the Heads were there years before those bands made an impact. Of course, in music there are no prizes for doing something first. It’s who does it best. Just think of the way Nirvana eclipsed The Pixies. But the Heads - bassist Tina Weymouth, drummer Chris Frantz, keyboardist Jerry Harrison and Byrne on guitar - are at least the equals of their Manchester cousins when it comes to finger-waving diatribes (“Go talk to your analyst, isn’t that what he’s paid for?” - No Compassion), claustrophobic, angular tunes and strained, passionate vocals. Not that this is an overly political album. Psycho Killer is deliriously silly, Byrne deadpanning over a thudding bassline: I can’t seem to face up to the facts / I‘m tense and nervous and I can’t relax / I can’t ’cos my bed’s on fire / Don’t touch me, I’m a real live wire.” That said, Byrne’s love of nonsense, and, more specifically, childish nonsense lets this album down in a couple of places, namely on Who Is It? and the monotonous Pulled Up. 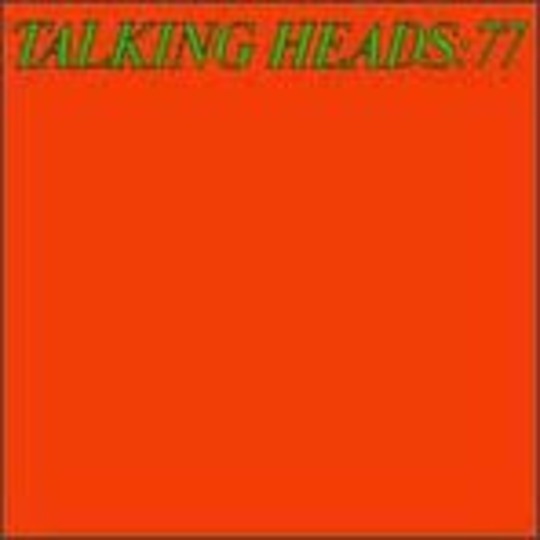 And, though Talking Heads 77 was ahead of its time, it can sound dated in places. Then again, with music this good, that’s half the attraction. The appeal of fellow CBGB regulars Television and Lou Reed hasn’t faded - just ask Julian Casablancas - and neither should that of Talking Heads.